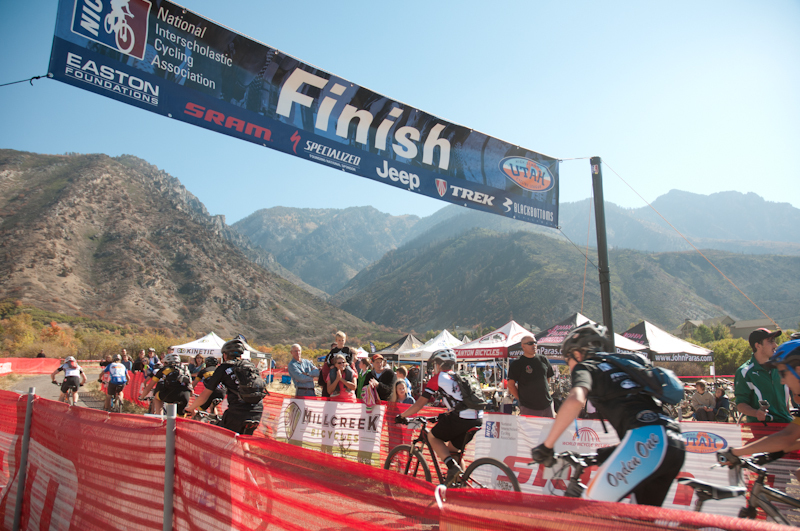 When the news broke last year that Utah was going to be one of the new leagues in the National Interscholastic Cycling Association (NICA), the enthusiasm in the SOAR offices was immediate. One of the league’s rallying cries – “I wish they’d had this when I was a kid” – was echoes loud and clear and we knew from moment one we had to be involved. Luckily, Lori and Dave Harward found some use for us helping to launch the Utah High School Cycling League. As part of efforts for the league we “had” to attend events to write up a race report for the media. What we saw there was incredible: A miniature national-caliber event, complete with decked out pits, feed zones and courses that challenged riders, excited fans and looked every bit as high quality as the tracks laid out at some of the country’s premier race series. And once the racing started, we were even more impressed. From first-timers running across the finish to gain a few points for their team after mangling a rear derailleur in a crash to the varsity boys dueling for the top spot in each of the season’s four races – the final round came down to a photo finish! Thea league’s first season was a huge success and we were proud to play a role in it – however small. Can’t wait for 2013!